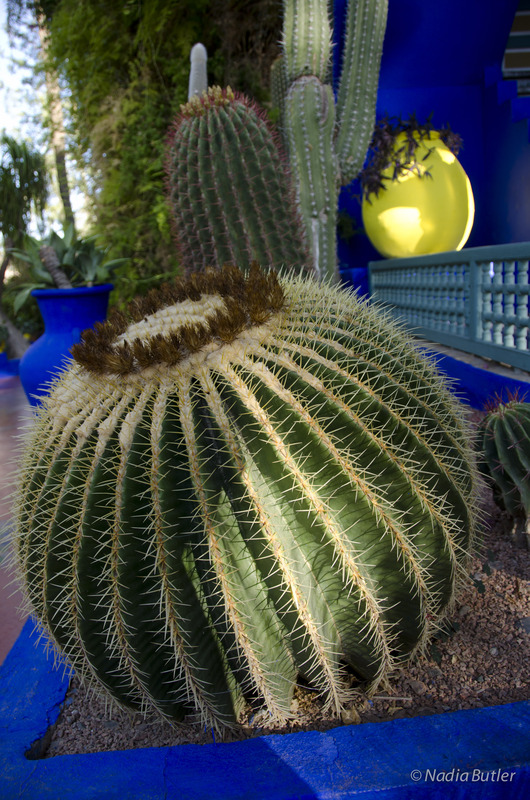 You are in Al Hamra, or Marrakech. The Red City, named for the terra cotta walls of the medina. Everything around you is earthtone. It is dry and dusty. You sense you are closer to the Sahara than to the sea. 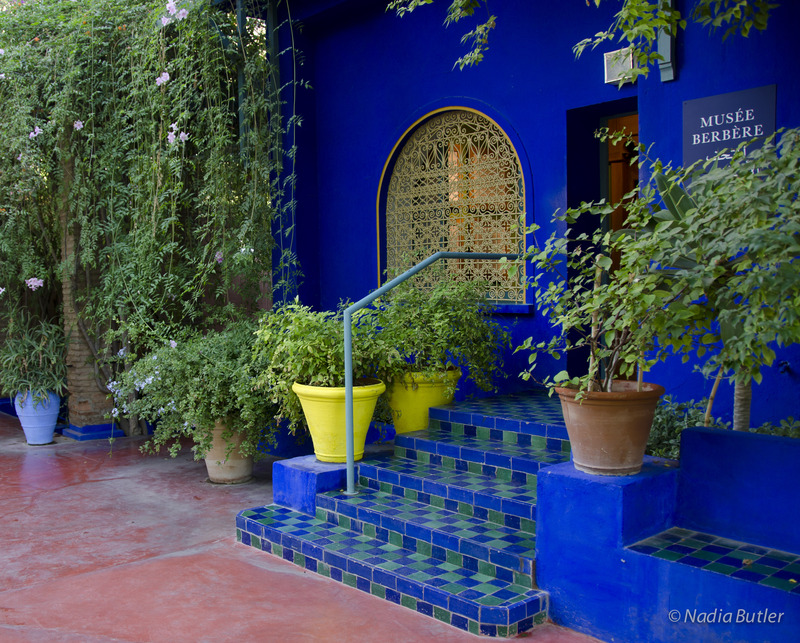 You pass through the gates of Jardin Majorelle and are awash in blues and yellows and greens. It is as though you dove from the high desert into the waters of the Mediterranean. You are refreshed. Thanks for your comment! And thanks for following. I love your macro photos. I haven’t yet mastered that lens! You are welcome and by the way thank you. I don’t know but maybe it could helps you to master the macro photos? you can try it f.e. with a 100mm prime lens. The beauty of photography engulfed by exquisite writing! Well presented Nadia. Great descriptions and characterizations. I must agree with Paul ! I can not say it better. Thank you, Greg. It is truly a magical place. 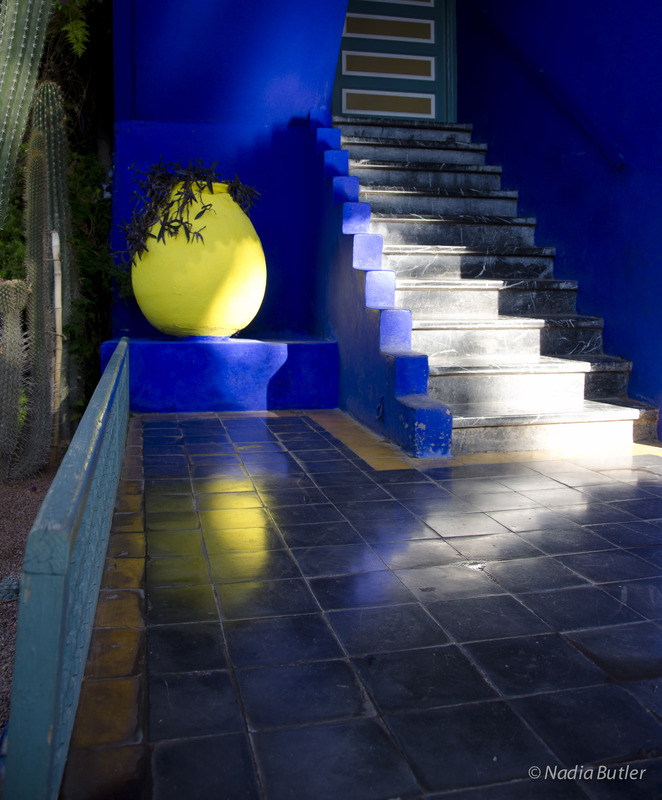 And the blue is particular to that garden. 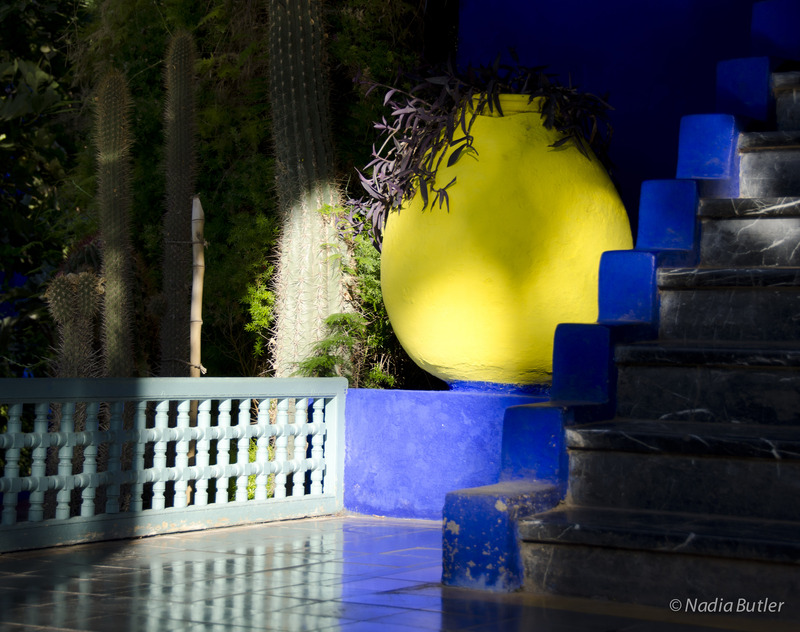 It has come to be known as Majorelle Blue, a fitting, though small tribute to the artist who designed it.